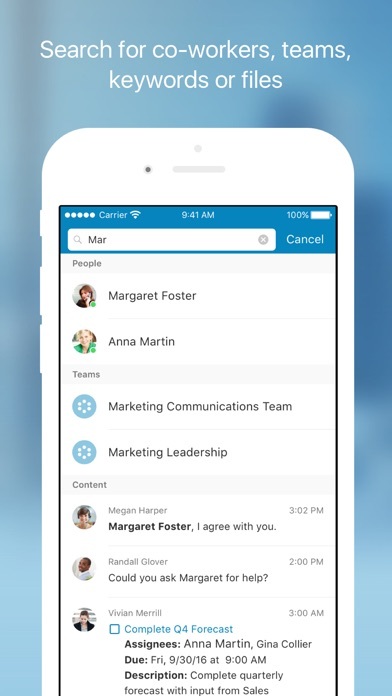 RingCentral Glip is the easiest way for teams to communicate and collaborate real-time. 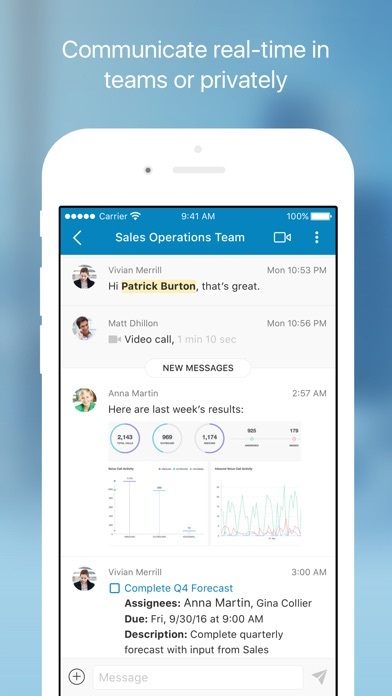 Glip's business messaging improves information sharing and reduces email clutter. Integrated task management, file sharing and calendaring tools help keep teams on the same page and on schedule. 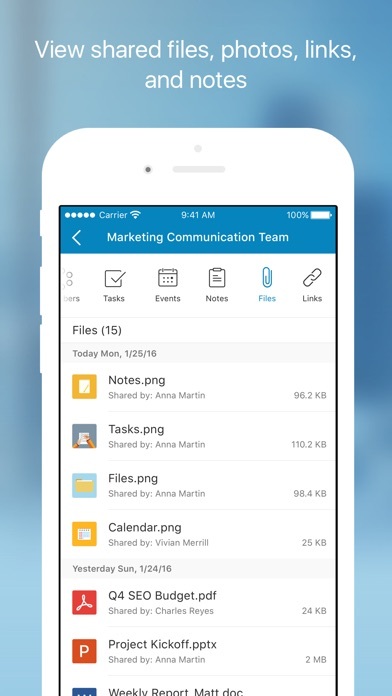 • Send messages and share files in teams or privately with co-workers. • Initiate face-to-face or group video meetings in HD. 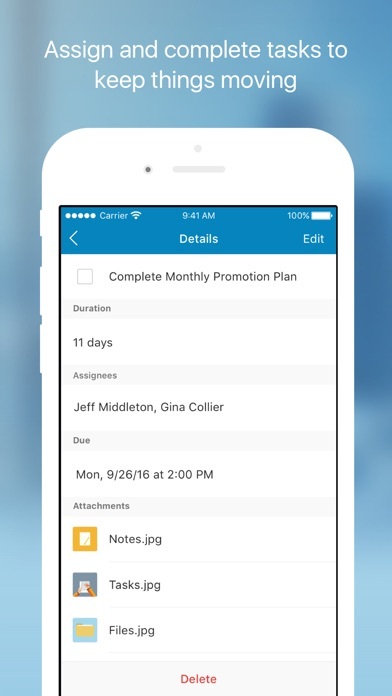 • Create, assign, and complete tasks and events to keep things moving in your teams. • Search for co-workers, teams, message keywords, or files. • Configure message notifications to fit your needs. • View files, photos, links, and notes shared by team members. • Use message filters, mention indicators, and new message counts to keep on top of important communications. • View posts made by third-party integrations such as Zendesk, Trello, Asana, and JIRA. 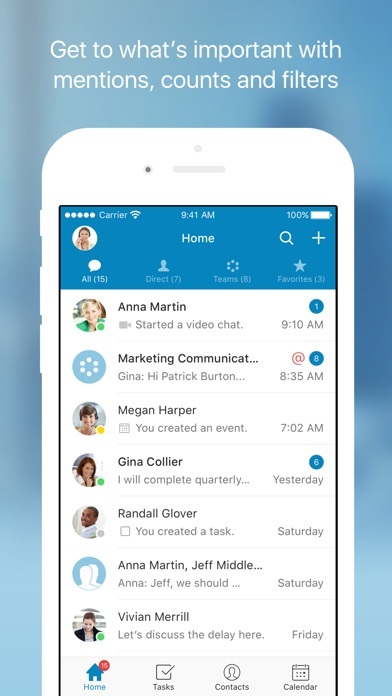 • Sign in with RingCentral to make voice calls to co-workers or start an audio conference. Not on Glip yet? Create a free account in seconds.